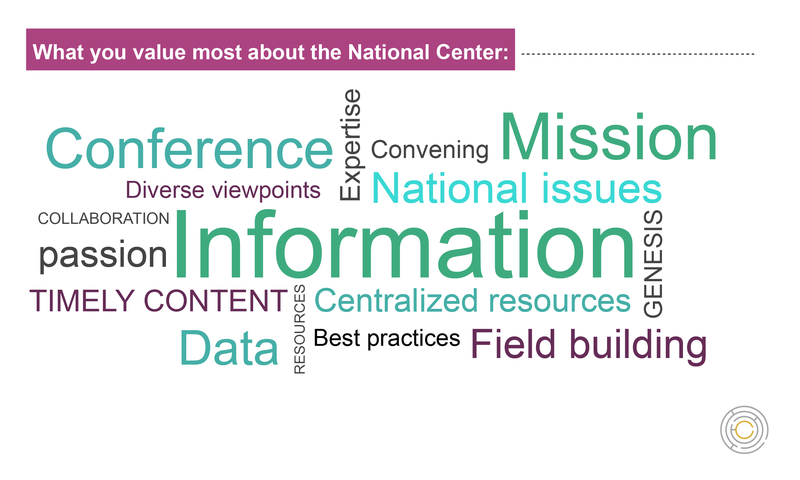 Last November we sent out a survey to our National Center audience, asking what you wanted from National Center programming. Informed in part by the feedback we received, this summer we completed a strategic plan for the National Center for Complex Health and Social Needs. The strategic plan maps out priorities, objectives, and tactics for the National Center to undertake over the next two years alongside partners from across the country in order to advance and strengthen the field of complex care. Over the last year, the National Center has been working alongside the Center for Health Care Strategies and the Institute for Healthcare Improvement on another kind of strategic plan —one for the field of complex care. We’re calling it the Blueprint for Complex Care, and the needs for the field articulated within it are closely aligned with the National Center’s strategic goals. Once the Blueprint is officially released later on this fall, we look forward to monitoring progress on both strategic plans in the coming years. You told us you wanted more information about care delivery, including information on complex care models from around the country. That’s why we hope to build upon and expand the Better Care Playbook’s complex care map and a searchable directory that houses information on complex care programs from across the country. This will provide more transparency about the existence of others in the field—and their successes and challenges in serving complex populations—and facilitate more connectivity within our community. 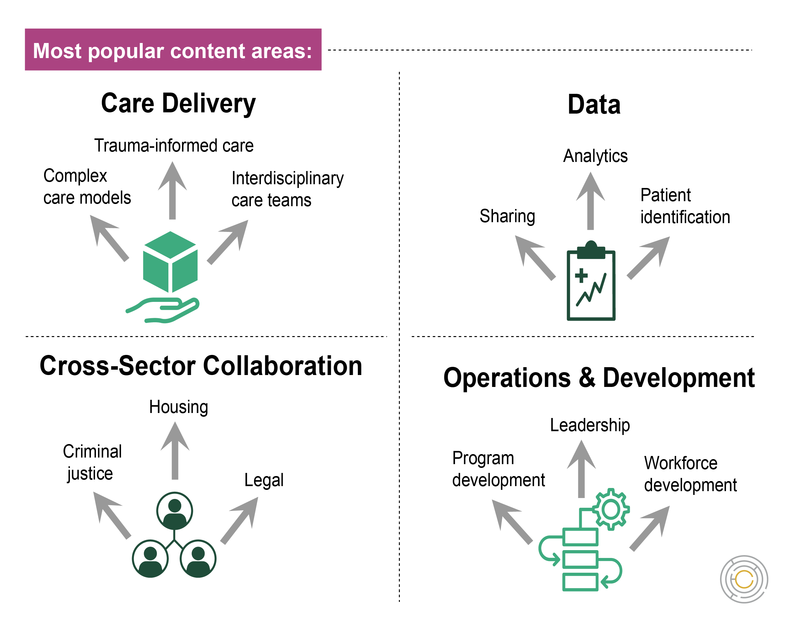 Our goal is not only to increase knowledge about successful complex care programs, but to also support efforts to spread and scale these models. Our Scaling Complex Care Through Innovations in Replication project and our conference Implementation Science and Practice track do just that. In partnership with the Peterson Center on Healthcare and Health Quality Partners, we’re working to share the science behind successful replication with complex care model builders across the country. The field of complex care can’t exist without a strong evidence base, and complex care programs can’t run without being able to use data to identify individuals with complex health and social needs and to evaluate the success of the interventions that serve them. As we roll out and activate the Blueprint for Complex Care, we will be collaborating with partners to accelerate and support the development of research priorities and key quality measures for the field of complex care. In order to support programs that are looking to combine data from across organizations and sectors, this year we also published a series of briefs on cross-sector data sharing that cover building trust for data sharing, navigating legal barriers, and activating shared data. Highlighting efforts that strengthen cross-sector collaboration and complex care ecosystems will continue to be a focus area for our work over the next two years. 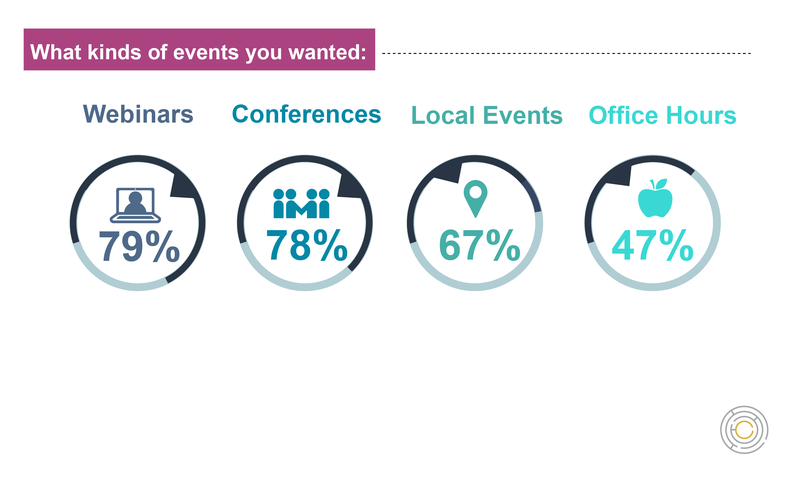 Seventy nine percent of survey respondents said that they wanted more webinars from the National Center. This year we have offered more webinars than ever before, including a new policy webinar series featuring experts from organizations like the Center for Health Care Strategies, Manatt Health, the National Governors Association, and more. 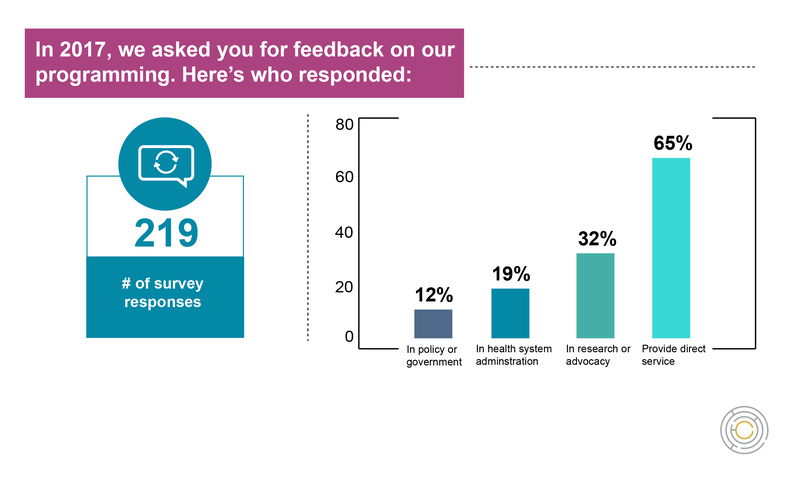 Look out for more policy-focused webinars in 2019 and 2020, as well as Office Hours sessions that provide a venue for deep conversations with complex care experts from across the country. We will continue to hold our annual national conference, Putting Care at the Center, and beginning in 2019, we will feature regional events where people working in the field of complex care can meet and learn from other innovators. As we move toward developing local ecosystems that can support complex care, it will be vital to facilitate connections across organizations and sectors that serve the same communities. When we asked what you value most about the National Center, the two most common responses were “information” and “mission.” We hope to continue embodying those ideals in the coming years. We will continue to identify and share bright spots from across the country, and to ensure that the information shared in our newsletter, on our website, and on social media is helpful, timely, and innovative. Our Student Hotspotting and technical assistance work continues to support the field with critical teaching and training efforts for both students and systems, and we will continue to live out our mission to improve care for people with complex health and social needs by ensuring that people with lived experience, like our Consumer Scholars and the consumer members of our Advisory Committee, are at the front and center of our programming and decision making. Thank you for taking the time to share your feedback with us. We’re excited to continue supporting your work to improve systems of care for people with complex health and social needs.